Trying to find the cost and fees of filing chapter 13 bankruptcy? 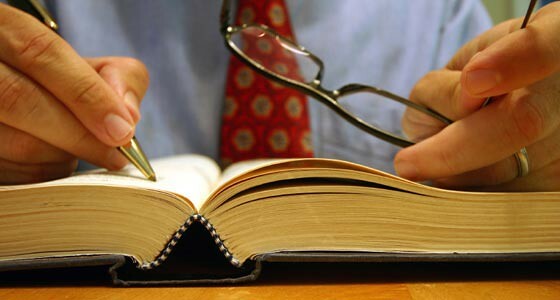 Anaheim Bankruptcy Law Experts Can Help! Filing Chapter 13 bankruptcy Anaheim? What is Chapter 13 Bankruptcy? How do I file in Anaheim? Chapter 13 bankruptcy is not difficult to file in Anaheim, even with the new laws that took effect in 2005. You simply have to complete a means test and pre-filing counseling and then pre-discharge financial management. The difficult part of Chapter 13 is managing to keep a grumpy Trustee happy for three to five years. Under Chapter 13 bankruptcy, every financial decision you make for the next three to five years will come under the Trustee's scrutiny. If you change jobs, it will need to be reported. If you get a raise at work, it will also need to be reported so that your payments may be increased. You will also need to get the Court's approval for any purchase that requires credit. What you need to seriously consider is what you are trying to save through bankruptcy. If your home has equity and is an asset, you definitely want to save your home. Our homes are the single greatest assets that most of us will own during our lifetime. Owning your home provides you with security and owning your home can make the exit from bankruptcy a little easier. If you have no equity in your home, are already behind on mortgage payments, and do not have the ability to repay your mortgage, I do not see a reason for keeping your home and filing Chapter 13. Your car is another story. Cars should rarely be the basis for filing bankruptcy. Your car is personal property that does not appreciate in value, and the replacement of a car is fairly easy. It is not wise to go into a three or five year repayment plan through Chapter 13 just to save your car. If you do need to save your home and protect your equity, Chapter 13 is probably your answer if you are getting to the point of foreclosure. Try contacting your bank or mortgage company as soon as possible to let them know your situation. Let them know you are considering filing for bankruptcy protection and ask them what repayment options they can make available. Do the same with your car. When finance companies hear that a borrower is about to file bankruptcy, they are very quick to become negotiable. You may get more guidance on your options from a bankruptcy law expert in Anaheim. One more thing to consider is your unsecured debt and the amount you have. Under a Chapter 13 repayment plan, you will have to repay a portion of your unsecured debt. This is debt that otherwise would not have to be paid if you were able to receive the protection of a discharge under Chapter 7. Do not lock yourself into a particular plan before you consult one of the top bankruptcy experts Anaheim has to offer. If you are in Anaheim and planning on filing bankruptcy, you should understand Chapter 13 bankruptcy. Chapter 13 is the bankruptcy chapter that allows for a 3-5 year repayment period during which some of your earnings are committed to repaying your debts. In general, Ch 13 is selected in order to protect assets. Rather than liquidating assets to pay creditors (as in Ch 7), future earnings are committed to repaying creditors. Of course you can always lose a secured asset if you do not make the payments on it. If Ch 13 is selected in order to protect a home or a vehicle, one needs to keep making the payments on the home or the vehicle in addition to the Ch 13 Plan payments, or one certainly can lose the secured asset. Also if the Ch 13 Plan includes arrears on secured assets, one risks losing the secured asset if one does not complete the Ch 13 Plan payments. Chapter 13 is like Chapter 11, but for families and individuals only. It has streamlined, simplified procedures so that attorneys fees don't get as high as they do in Chapter 11 or 12 cases. Need Help Filing Bankruptcy in Anaheim? Chapter 13 Bankruptcy Experts Anaheim Can Help.